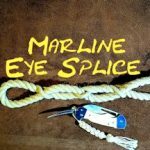 Splice – describes the act of joining the ends, or the end and a standing part, by interweaving strands. The Back Splice is used to stop the end of a stranded rope from unlaying. 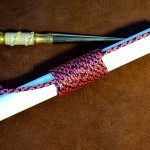 One of the problems that is encountered with back splicing a rope, is that many people do not like the fact that back splicing a rope increases the diameter of the rope. 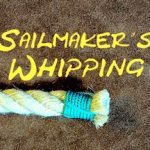 If your the end of the rope is going to pass through say a pulley, then maybe whipping the end of the rope with common whipping or sailmaker’s whipping may be preferable. 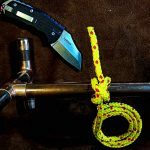 However and advantage of back splicing the end of a rope also has the advantage of making the rope wider, giving the user something better as a hand hold. Often when splicing, a Swedish fid is a very useful tool. 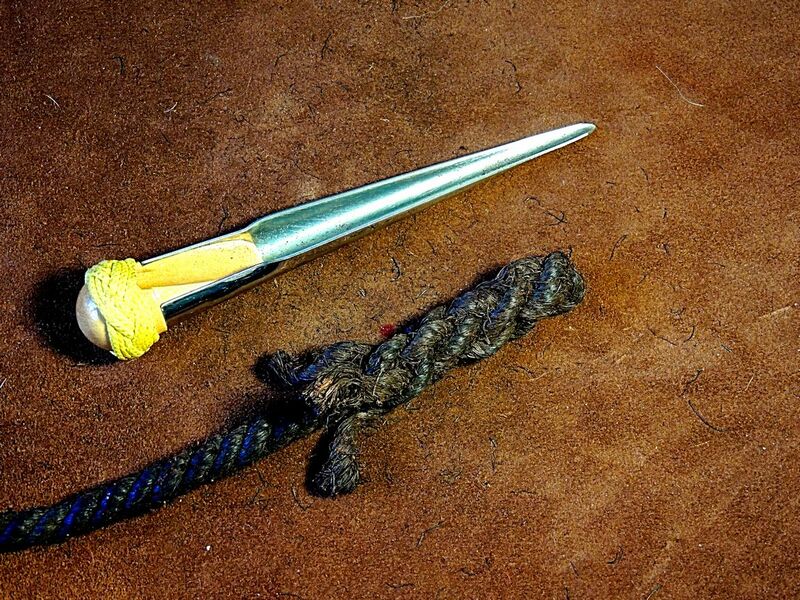 The Swedish Fid is used to prise apart the the three strands of a rope and the hollow shape allows the one strand to be passed under the other in the lay of the rope. Soon after making the above video, I realised that maybe a brown rope on a brown background was not such a good idea. So to make things a little easier, I though I would do the same video using a coloured rope.